What evidence can help in my reckless driving case in North Carolina? If you have been charged with reckless driving in North Carolina, you must understand that you did not receive a traffic citation. You have been charged with a misdemeanor criminal offense with a possible sentence of time in jail, a fine, and suspension of your driver’s license. In addition, you would have a permanent criminal record. To build a strong defense and attack the prosecutor’s case against you, you will need evidence that supports your defenses. Speedometer calibration. Many reckless driving charges in North Carolina are based on driving over 20 miles per hour over the speed limit or over 80 miles per hour. 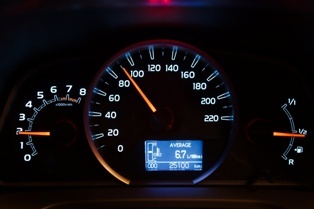 A speedometer calibration can help you prove that you were not driving as fast as the police officer claims. GPS evidence. If you were charged with only traveling a little over 20 miles per hour over the speed limit or over 80 miles per hour, obtaining GPS location data along with a speedometer calibration can be effective to show that you were traveling at a slower speed. At a minimum, this may enable you to get the charges against you reduced to a less serious offense. Evidence of improper signs. When the speed limit signs near where you were charged with reckless driving were missing, vandalized, or hidden, this could be a defense to a reckless driving charge, especially if you were driving in an unfamiliar area. Photographs of the signs and the area in general can help you prove that you had no way of knowing the speed limit. Medical records. If you were speeding due to a medical emergency, such as experiencing a stroke or heart attack, you would want to obtain medical records substantiating a passenger’s or your health condition that required you to speed. Witness testimony. Witness testimony can be valuable to substantiate your defenses, such as that you were not the driver, you were not racing if this is the basis of your charge, or you were speeding due to a medical emergency. Evidence of safety commitment. Your sentence may be less harsh if you can show a commitment to safe driving. Evidence of this can include showing a clean driving record prior to these charges or completion of a driver improvement course. You need the assistance of an experienced reckless driving attorney in Charlotte to help you identify the defenses that you have and collect the evidence that you will need to aggressively fight the reckless driving charges that you face. Start an online chat today to schedule your free initial consultation to discuss your charges and the strong defenses you may have.